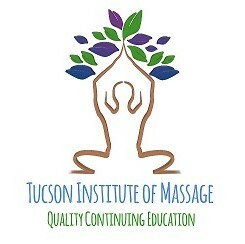 Melody graduated from the Desert Institute of Healing Arts (DIHA) in April of 2000. Her career has taken her in many directions from spa to therapeutic and she brings that experience to her teaching. Mel (for those who know her) is highly passionate about the education her students receive. She sought out a career as a massage instructor because she wants to see this industry thrive and grow, which is also her wish for the students she teaches. She loves being an educator and is grateful for the opportunity to do so for over 3 years. It is easy to get used to taking your SOAP notes the same way every time, but a critical look at your documentation can improve your planning and self-evaluation skills. Continuing education can help make your assessments more accurate, make the “planning” section of SOAP notes count and help you stay on top of medical billing procedures. The majority of continuing education courses on documentation are brief and focus on medical billing and medical massage. Proper intake protocols and notes are critical for communication between you and your client’s medical doctors. Other courses will teach you how to file documentation with regulatory agencies or improve your SOAP notes for your own benefit.